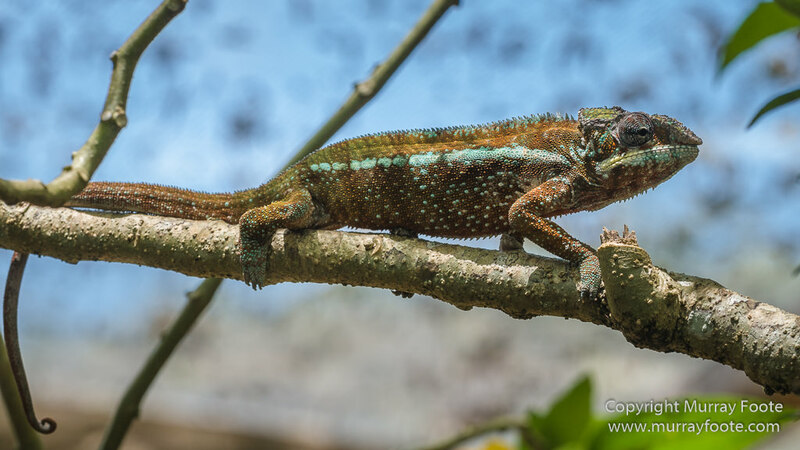 Many species of chameleon are endemic to Madagascar, which has about half of the World’s chameleon species. 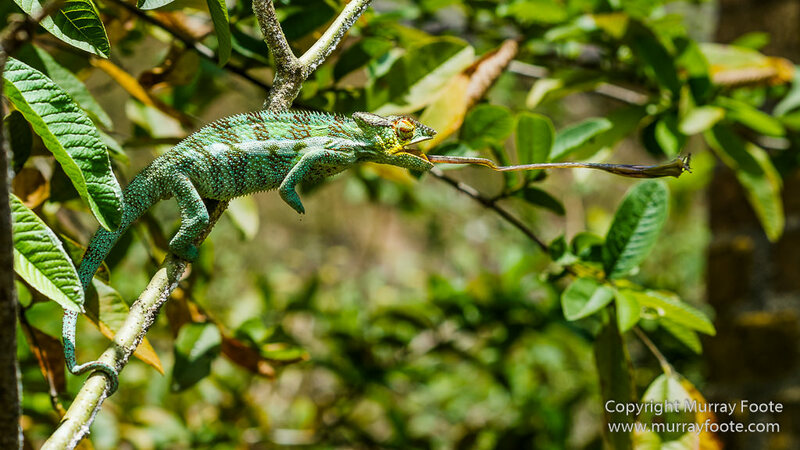 Chameleon fingers and toes are fused in groups of two and three, to assist in gripping branches. 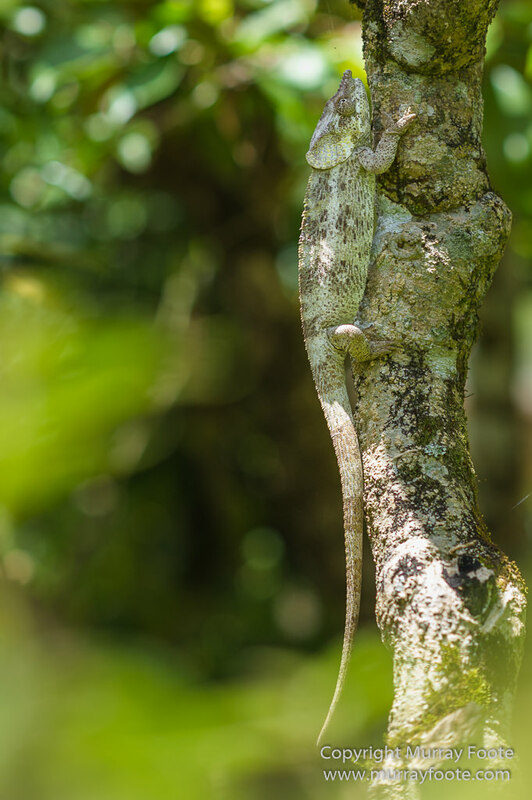 Most chameleons live in trees. 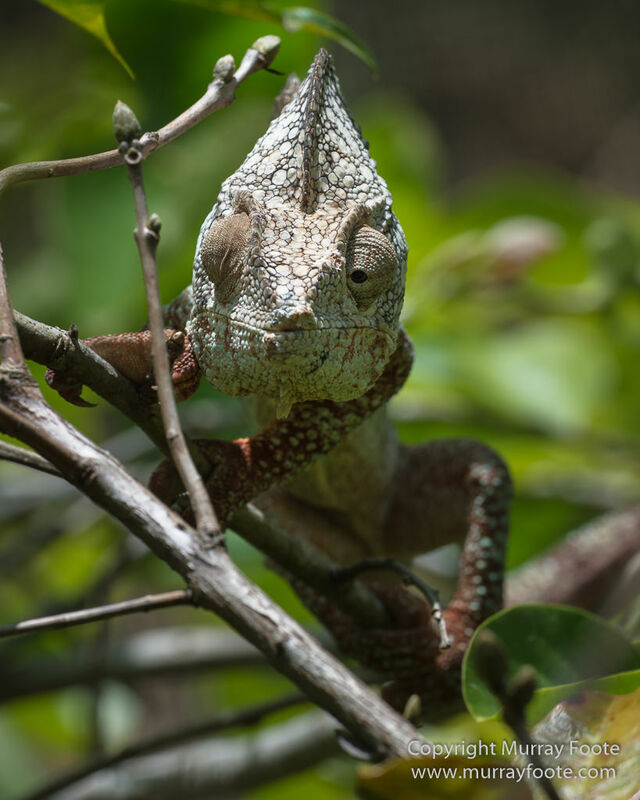 Probably female Oustalet’s chameleon, also known as Malagasy giant chameleon. 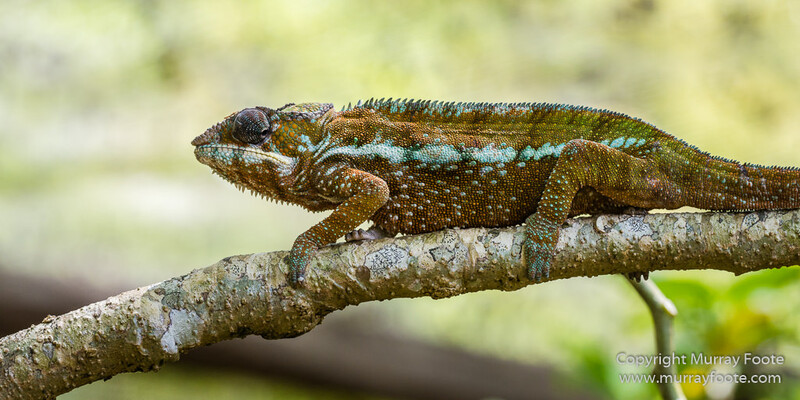 Parson’s and Oustalet’s chameleons are the largest worldwide, at more than 65cm. 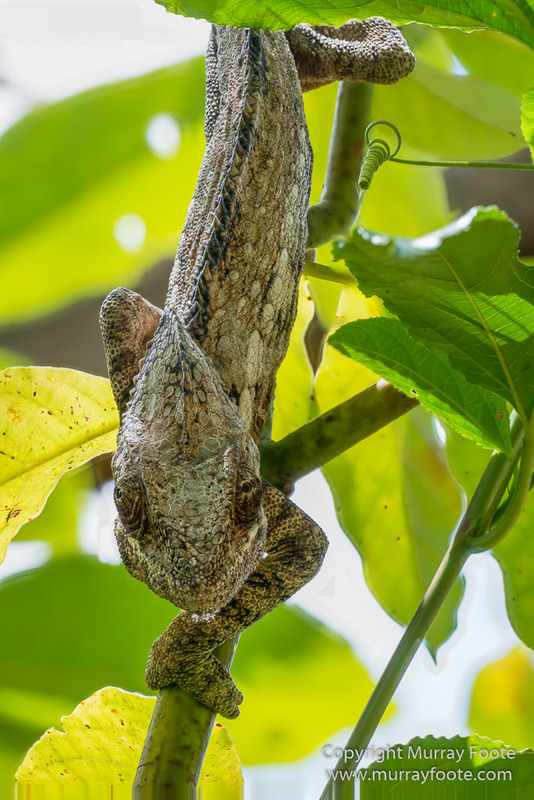 The smallest, the recently discovered Brookesia micra, is 3cm long and can sit on top of a finger. 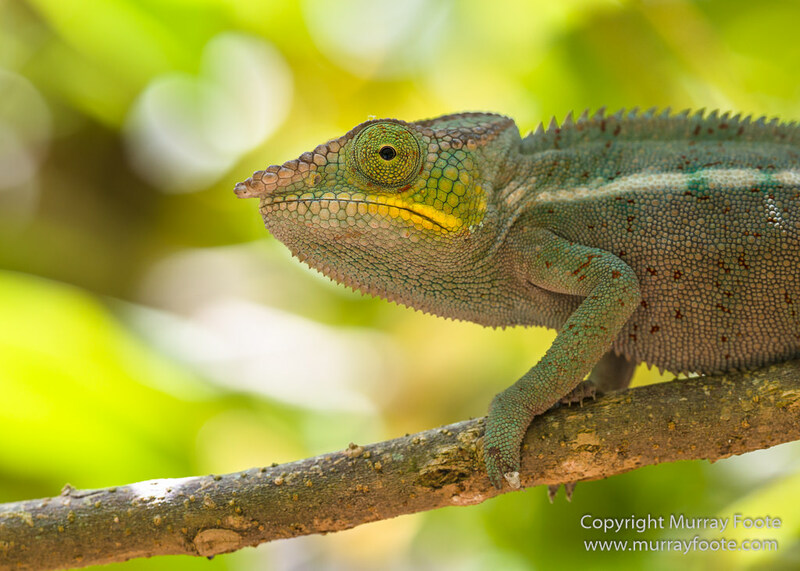 (I am unable to identify many of these chameleons). 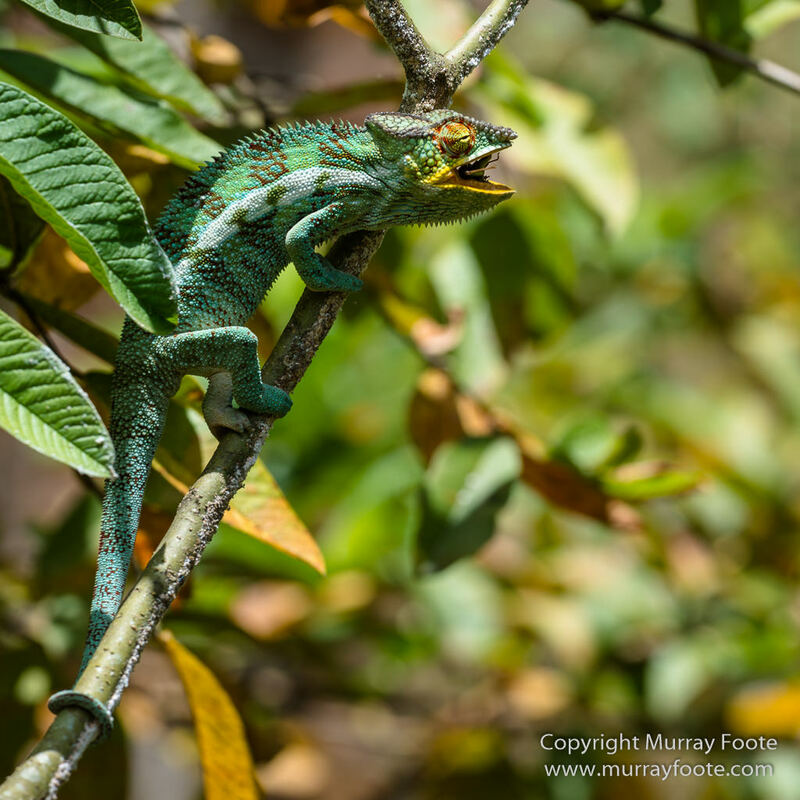 Chameleons are mainly insectivores, catching them with their extraordinary tongue. Here, blending fairly well into the trunk of the tree. 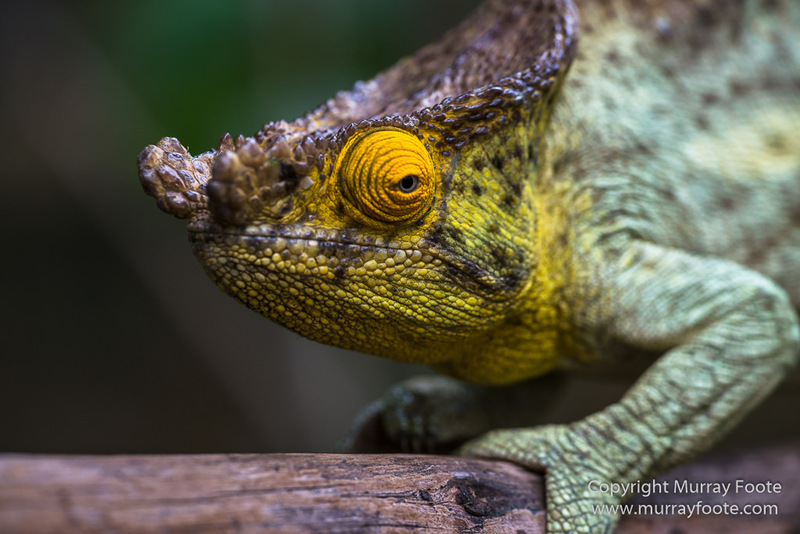 Chameleons can move their eyes independently, to look simultaneously at tow objects in very different directions. 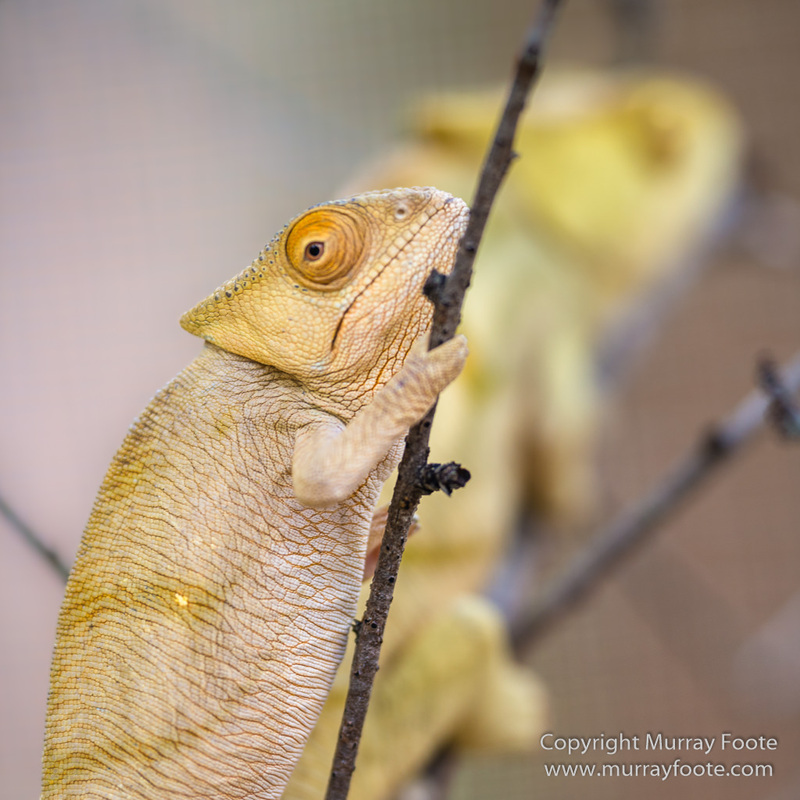 When they detect prey, they can focus on it with both eyes for stereoscopic vision. 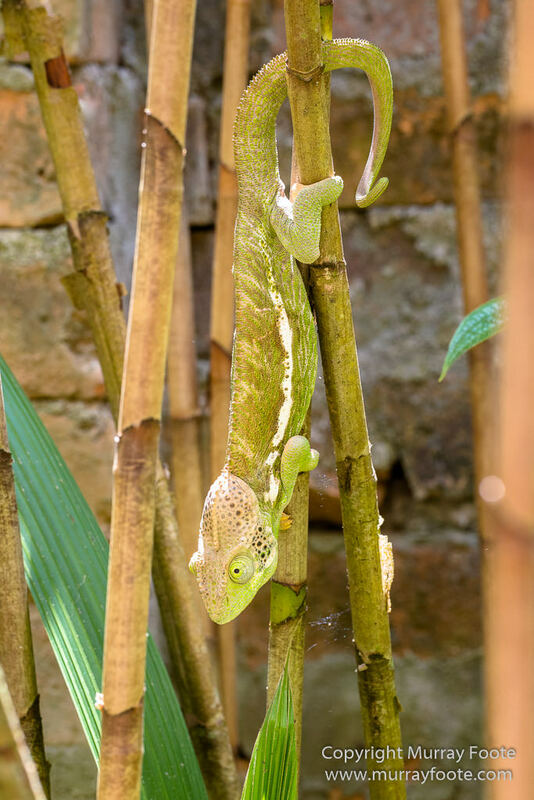 Most chameleons have prehensile tails except for a group of very small stump-tailed or leaf chameleons that live mainly in the leaf litter in the forest floor, hunting for insects and often camouflaguing themselves as leaves. 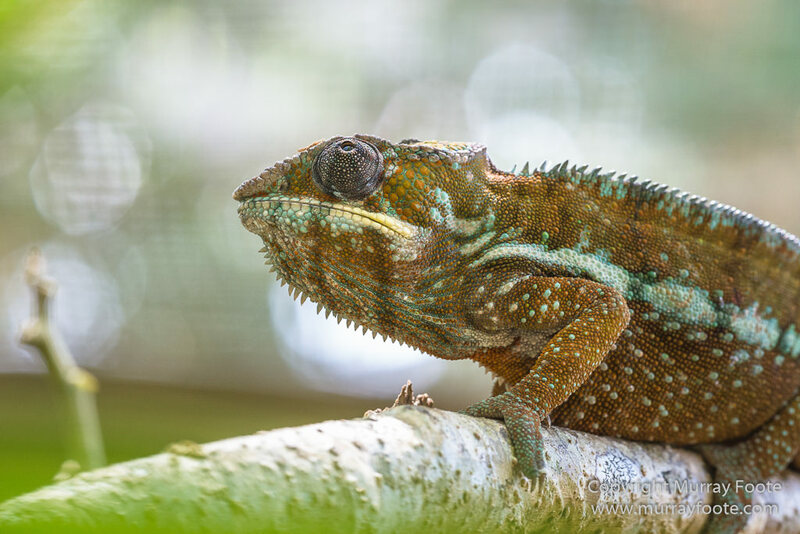 Panther Chameleon capturing an insect. The flash of the tongue to catch an insect happens very quickly, though you can see them winding up for it. 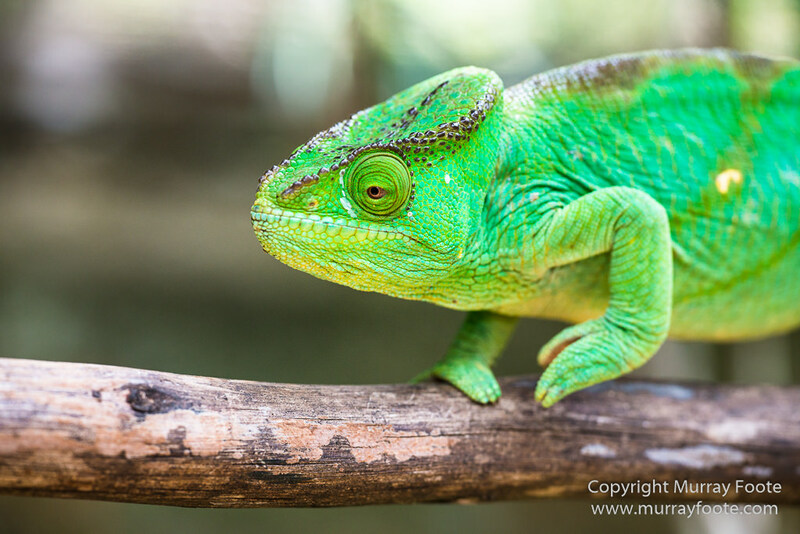 Most people think a chameleon can change to any colour to match their surroundings but it is not as simple as that. They will have a range of colours and not be able to change outside that range. 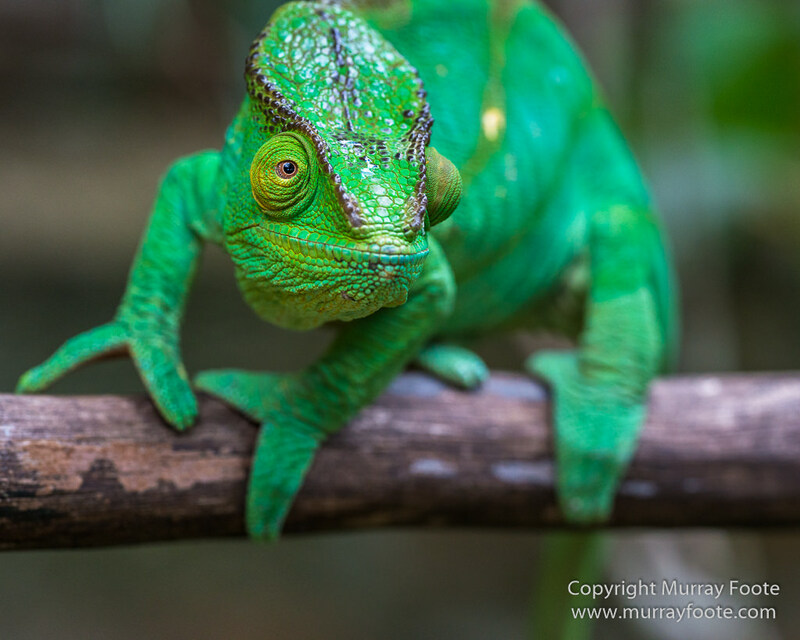 Colours within the same species can also vary considerably by region. 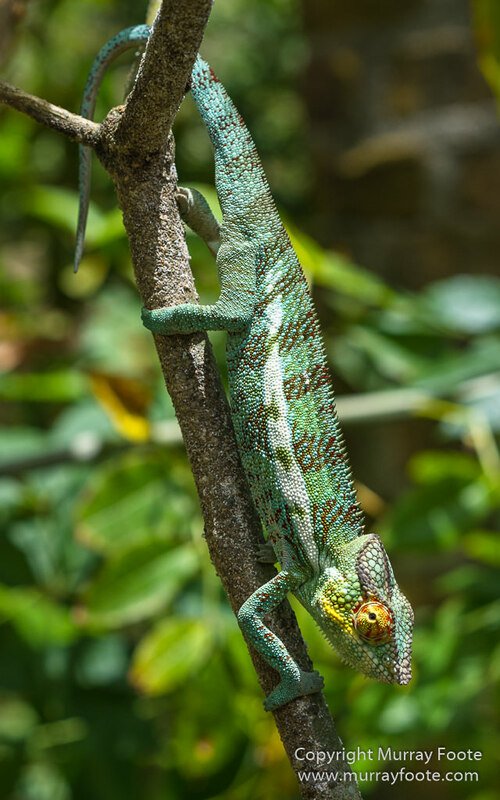 Camouflage is just one source of colour change. 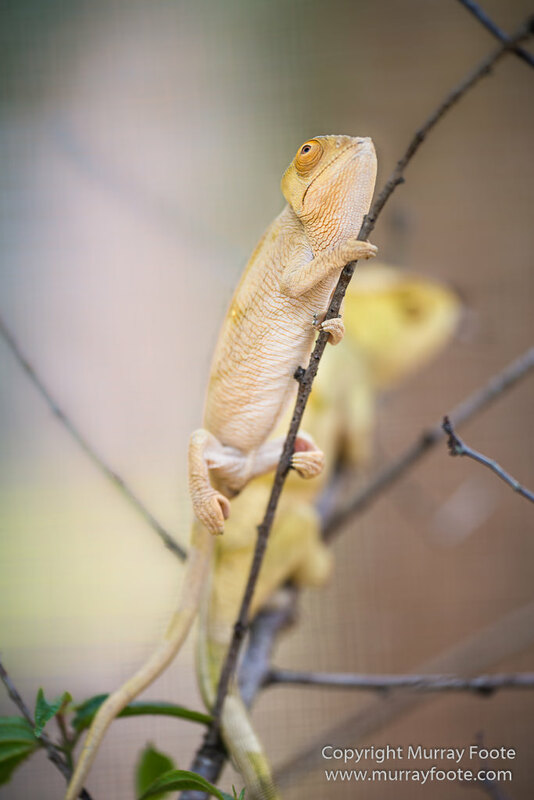 Others include mating displays, defending territory, expressing emotions including anger, and regulating body temperature. 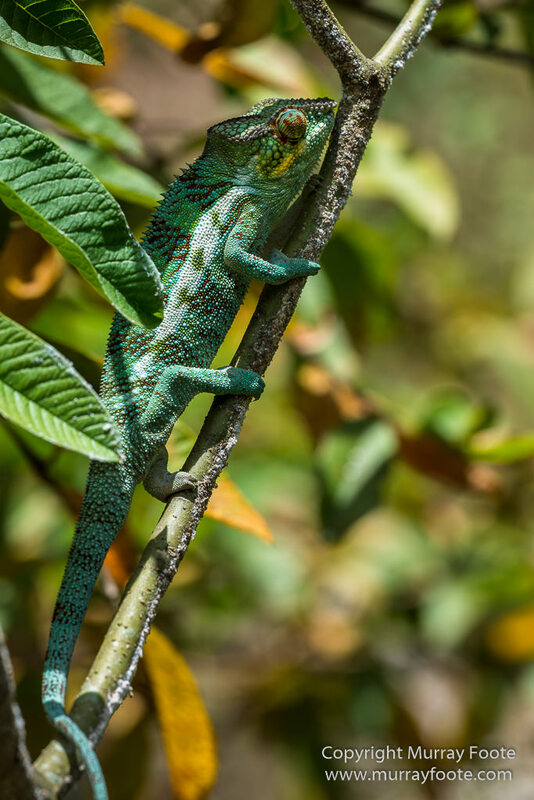 This entry was posted in Madagascar and tagged Chameleons, Madagascar, Marozevo, Nature, Peyrieras Nature reserve, Photography, Travel, Wilderness, Wildlife. 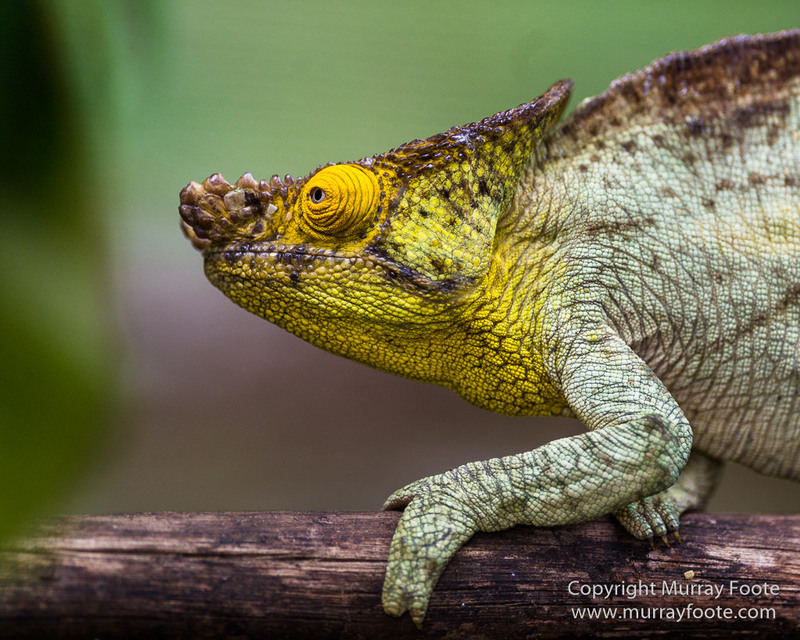 Amazing creatures and amazing shots! Thank you. 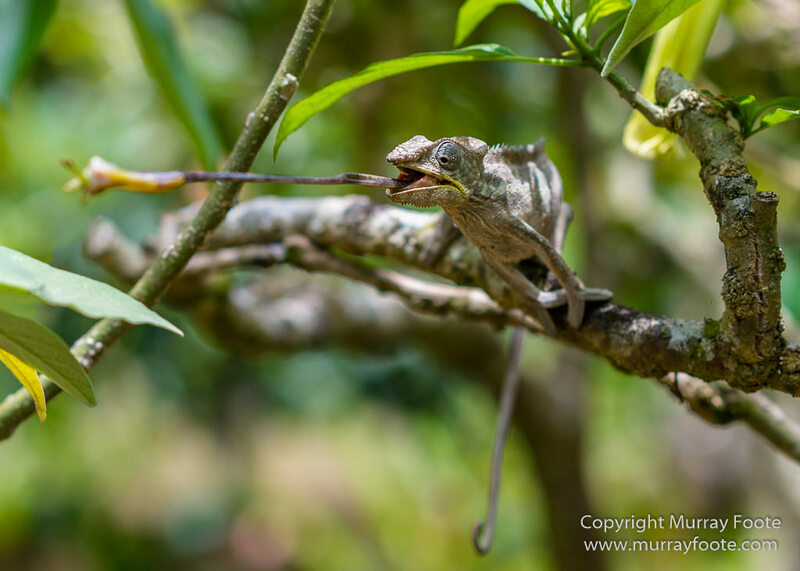 As you can imagine, capturing them in action snatching insects is quite tricky. Maaaate, is this the x-Pro2 + 50.140mm? Brilliant images! No, no, this is last October. 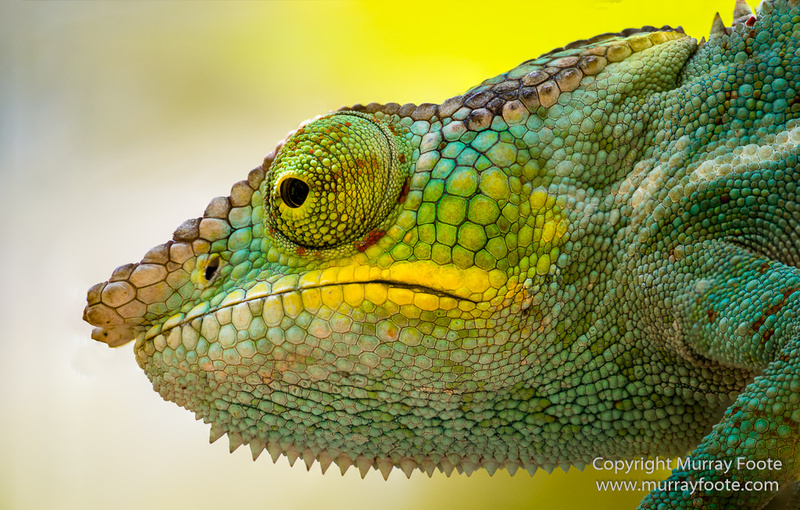 80% of them are Nikon D800 plus Sigma 180mm f2.8 macro. These images are absolutely amazing! Such beautiful colors; wow.